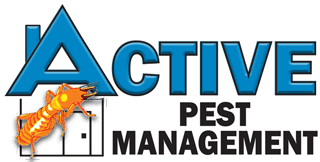 Active Pest Management (APM) is committed to providing high quality services to you and this policy outlines our ongoing obligations in respect of how we manage your Personal Information. This Personal Information is obtained in many ways including setting up your client file in our service delivery schedule and accounting packages, and collected by correspondence, telephone and facsimile, email, via our website www.activepest.com.au, or from other publicly available sources, from cookies and from third parties. We don’t guarantee website links or policy of authorised third parties. Sensitive information is defined in the Privacy Act to include information or opinion about such things as an individual’s racial or ethnic origin, political opinions, membership of a political association, religious or philosophical beliefs, membership of a trade union or other professional body, criminal record or health information and we do not collect such information. Active Pest Management will not charge any fee for your access request, but may charge an administrative fee for providing a copy of your Personal Information. In order to protect your Personal Information we may require identification from you before releasing the requested information.